Even a short flight of stairs can feel like a mountain-side when living with mobility difficulties. Here, a Platinum Horizon Plus straight outdoor stairlift helped to give the user safe access to their back garden and driveway. 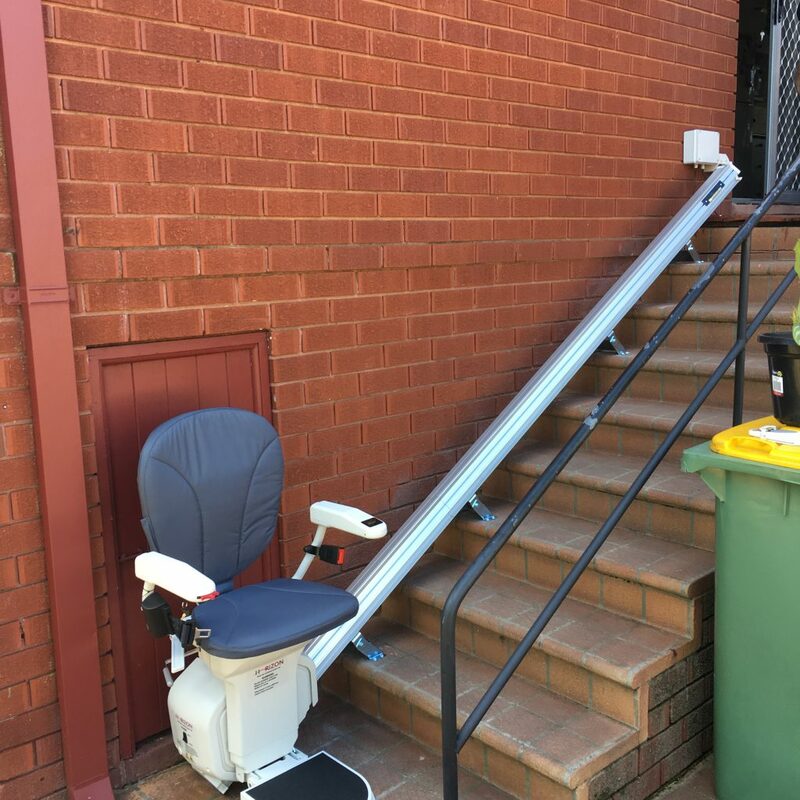 The Outdoor stair lift, complete with powered swivel seat, fits neatly up against the side of the house and leaves plenty of room when folded for others to walk up and down the stairs. Outdoor stairs can become slippery and hazardous, particularly when unsteady on the feet. Don’t take a chance, contact Ideal Stairlifts and let us help make your stairs safe again.